Kenyan opposition leader Raila Odinga called the presidential election results a "sham" Tuesday, in his first public statement since incumbent Uhuru Kenyatta was declared the winner. In a much-anticipated televised address, Odinga said that the opposition would pursue "economic boycotts, peaceful procession, picketing and other legitimate forms of protest," to reject the results of an election he called meaningless. He made no mention of contesting the election in court. With eight candidates listed on the ballot, Kenyatta attained almost 7.5 million votes, or roughly 98 percent of the overall tally. Last Thursday's election was a re-run of the August 8 presidential vote. The Kenyan Supreme Court nullified Kenyatta's victory in that poll, ruling that the Independent Electoral and Boundaries Commission (IEBC) had not followed electoral law and the constitution. 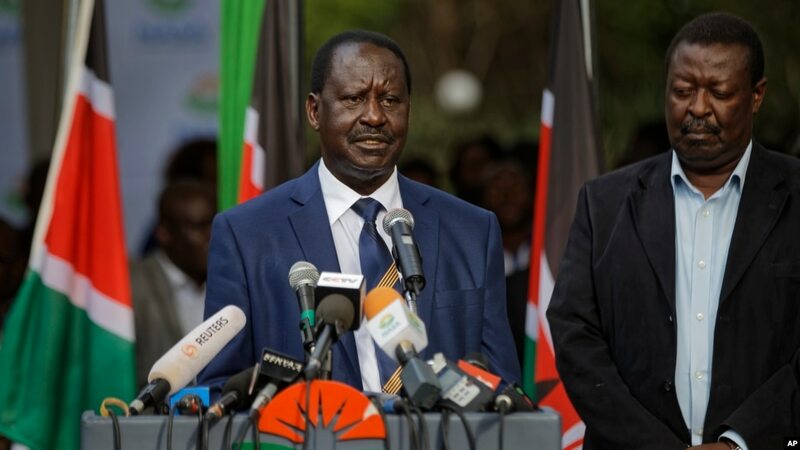 Odinga urged supporters to boycott the new election, after his demands for a longer postponement and an overhaul of the electoral commission were turned down. The IEBC said 39 percent of eligible voters cast their ballots in the October 26 election, compared to nearly 80 percent in the original election in August.